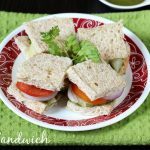 Bombay veg sandwich recipe – A quick vegetable sandwich that can be assembled in just few minutes. 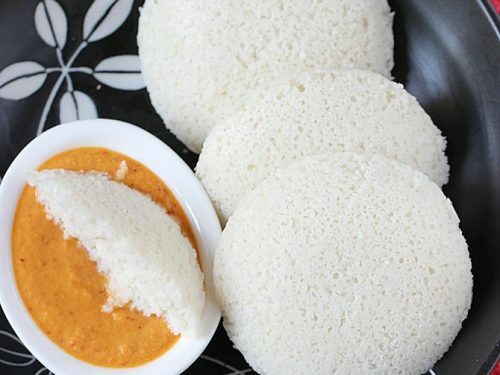 These sandwiches are not only common on the streets of mumbai, but can also be found in Indian restaurants, chaat centers and even in tea shops. 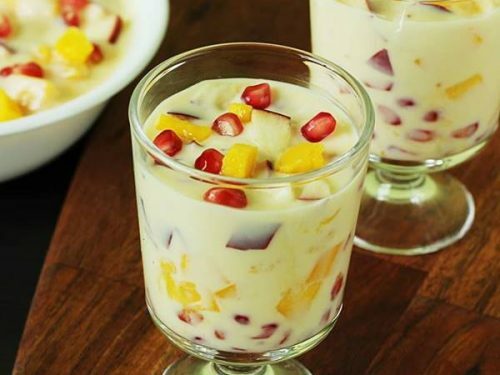 Most people love to enjoy these with a cup of Indian masala chai. 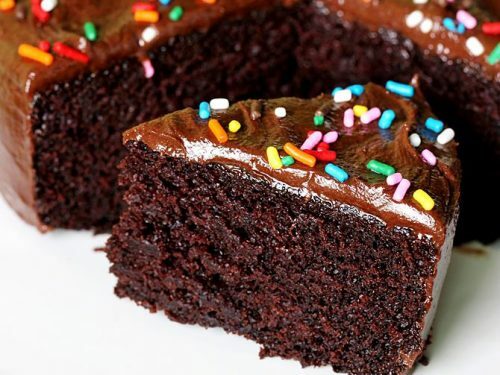 Though these are good to eat right away after making they also keep good for about 2 hours. They are great to carry to work or enjoy at home for a snack. 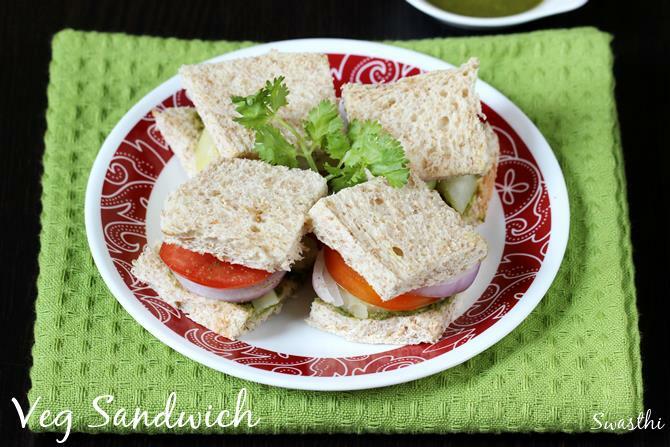 Bombay sandwich is made using white bread, green chutney smeared over and then boiled potato, beetroot, cucumber used as the filling. Sandwich masala and black salt are sprinkled over. Since we do not eat white bread I have used whole meal bread here. The only preparation would be to make green chutney and boil the potatoes and beets. 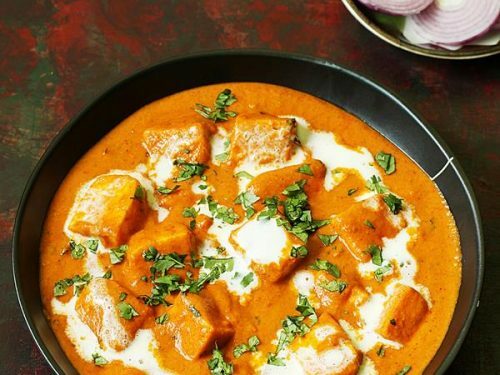 These can be topped with more green chutney or sev. 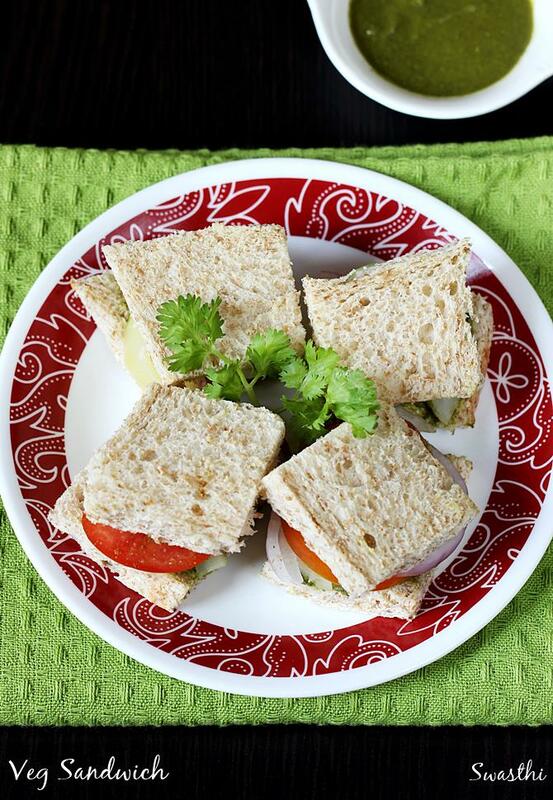 These can also be grilled to make grilled veg sandwich. 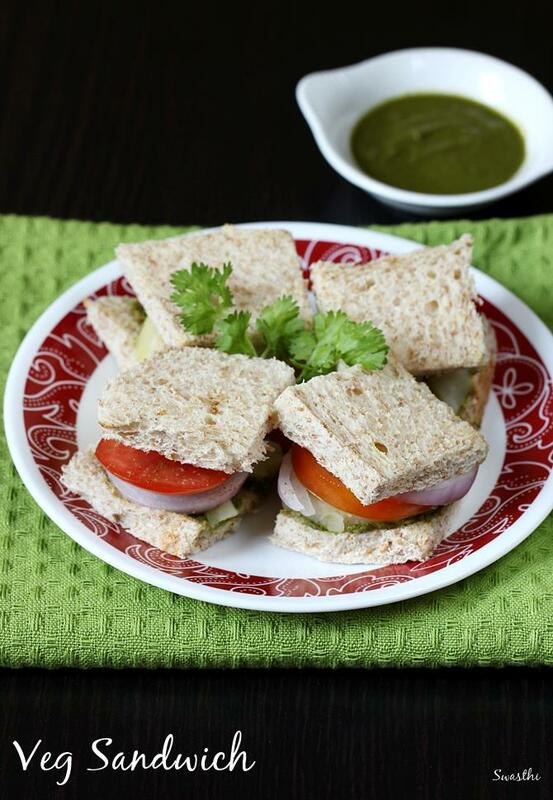 Bombay veg sandwich - Vegetable sandwich made with green chutney and boiled veggies, a popular street food from India. Boil Potatoes, beets in what ever way you like. They need to be firm and not soggy or mushy. Slice the onions, cucumber, tomatoes and boiled beets and potatoes. 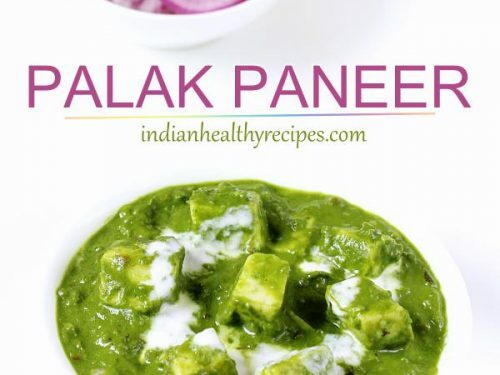 Make the green chutney by blending all the ingredients without adding water first. Then add water as needed and blend until smooth. 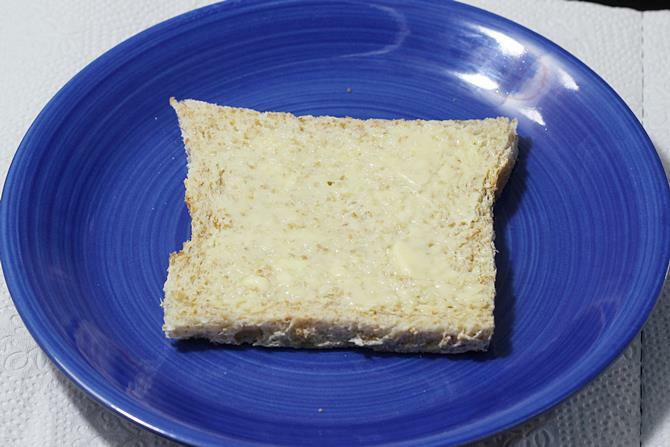 Smear the butter over the bread. Then smear the chutney evenly. 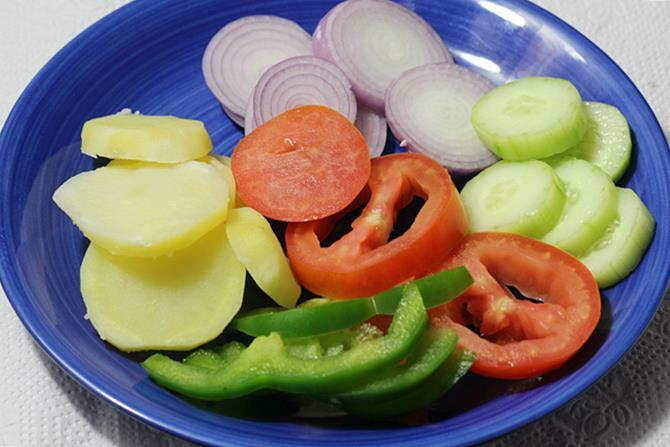 Layer the veggies - potatoes, onions, beets, cucumber, bell pepper and then tomatoes. 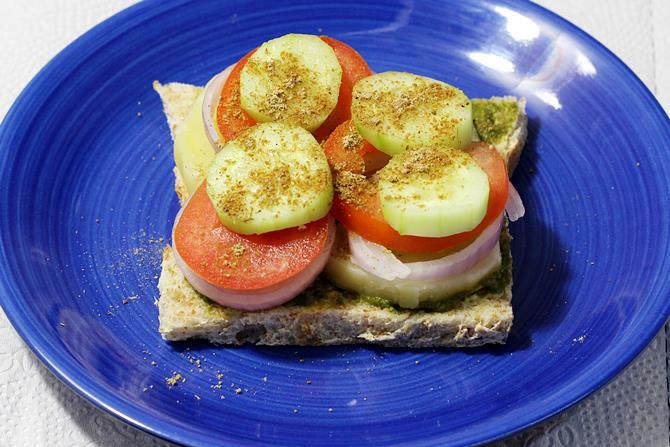 Sprinkle a generous amount of chaat masala or sandwich masala. Cover with another slice. Cut to triangles or squares with a bread knife. 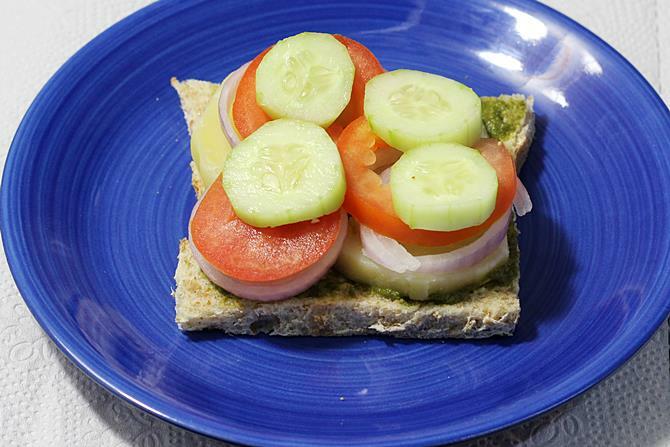 Serve bombay sandwich within 2 hours. 1. Keep all the veggies ready. We will need boiled potatoes, boiled beetroot, sliced onions, tomatoes and if you like capsicum too. I haven’t used beetroot here. 2. 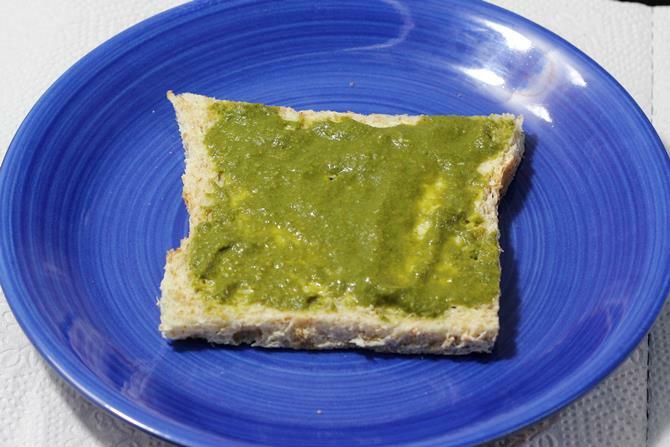 While the veggies boil, make the green chutney. 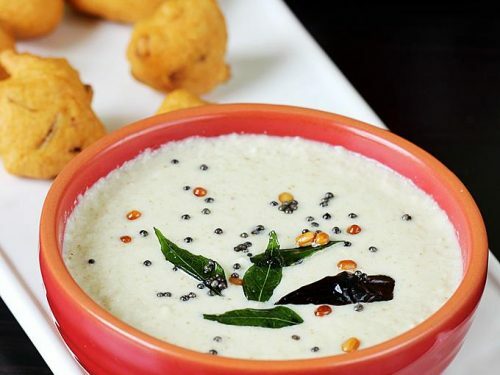 Add coriander and mint leaves to a blender jar along with fried gram, salt, green chilies, ginger and garlic. 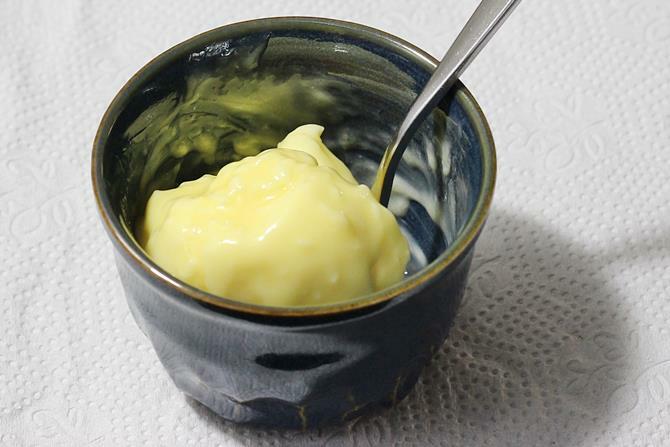 Add lemon juice towards the end and blend once more. The chutney must be thick and of spreading consistency. Do not make it thin else the bread turns soggy. You can store this in a clean dry glass jar. Refrigerate and use up with in 3 to 4 days. 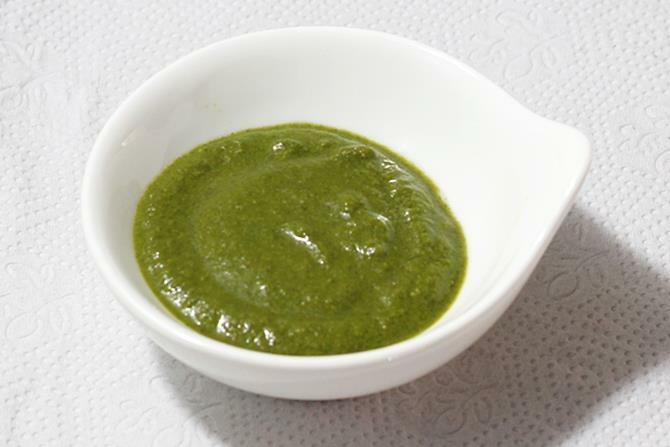 For detailed step by step photos you can also check this green chutney recipe. 3. We need soft butter. 4. Remove the edges of the bread. Smear butter on one side of the slices. 5. Smear the green chutney evenly. 6. Place beets, potatoes, onions, tomatoes and cucmber. 7. Sprinkle sandwich masala and litle black salt. I used chaat masala, cumin powder and black salt. 8. Cover with the other buttered slice. You can also toast it in a griller. Cut to triangles or squares. 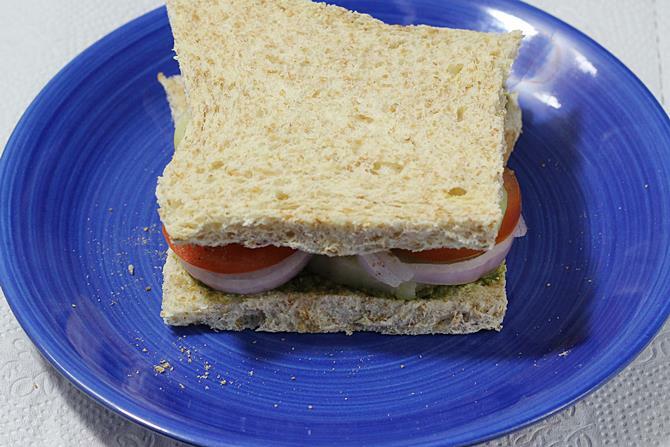 Bombay sandwich is ready.